As a ‘playground for researchers’, Eindhoven Engine also intends to follow in the footsteps of the legendary NatLab run by Philips - one difference being that Eindhoven Engine will be borne by multiple companies in the Brainport region, and will stake out a central role for researchers and students of TU/e, Fontys and TNO. In time, the whole of the Multimedia Paviljoen (MMP) on TU/e campus will be filled by this ‘innovation accelerator’, which hopes to expand to some 500 participants. 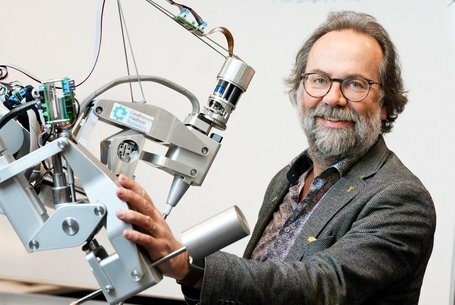 With Eindhoven Engine we want to accelerate innovation by uniting experience with young talent,” says university professor Maarten Steinbuch. “And not somewhere in a company, but at a separate location; that will give disruptive thought and action more of a chance and, above all, foster cross-fertilization between the projects and thus between the various industry groups.” That, he believes, is necessary because the digital revolution is connecting everyone and everything, and at some point no one party will be able to solve the challenges facing society. Eindhoven Engine is currently undergoing a smooth transformation from an abstract vision of the future held by Steinbuch to a physical organization. To give the organization shape, last year Eindhoven Engine BV was founded, with Clement Goossens as its director. There is also an Eindhoven Engine Support Team, with representatives of TNO, Fontys, and TU/e. Italian-born Lisa Seravalle of the Support Team explains what her duties involve. “The Eindhoven Engine Support Team arranges the project contracts with the participating companies, organizes training sessions and is responsible for public relations,” she says. In English, of course, the official language of Eindhoven Engine. “The business sector in this region is extremely international, and we want to attract international talent,” says this jurist. As well as the limited company and the Support Team, there is an advisory council of representatives of the founders of Eindhoven Engine - TU/e, TNO, Fontys and the companies Philips, Signify, NXP, NTS and VDL, Goossens explains. Only cofounder ASML has not yet committed to joining this body. The advisory council is chaired by initiator Steinbuch, who also represents the organization in his role as ambassador of Eindhoven Engine, together with industrial figurehead Guustaaf Savenije, CEO of VDL-ETG. 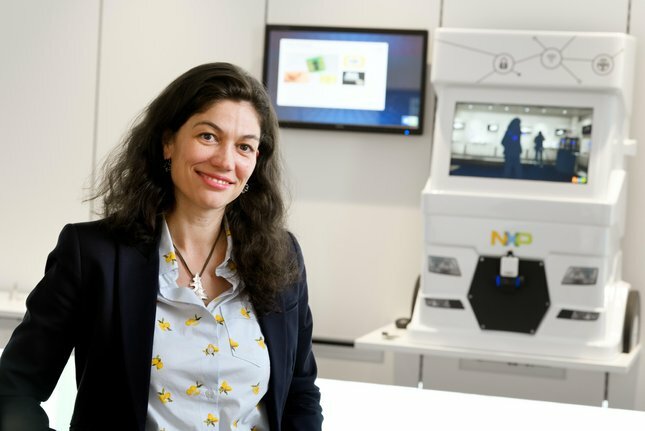 Seven projects have already been defined within a number of main areas: ‘connected driving’, which is being led by chip manufacturer NXP, ‘medical technologies’ with input from Philips, and ‘wafer stages’ with ASML. In addition to this, projects will be defined relating to Brainport Smart District, the new ‘smart’ neighborhood to be built in Helmond. “We are seeing a great deal of enthusiasm among students, they evidently find the subjects and the cooperation with the business sector very interesting,” says Goossens. Eindhoven Engine is funded partly by Brainport National Agenda for Action; the sum of fifteen million euros has been made available for a period of seven years. In addition, the supporting companies are contributing, both in cash and in kind, as are the various regional government bodies. Via the HTSM 'top sector' (an initiative of the Ministry of Economic Affairs) for every three euros of company input, another euro is donated to Eindhoven Engine. “Over the longer term,” says Goossens, “we also expect to be able to secure European subsidies, for research via Horizon Europe, as well as perhaps Erasmus-like programs for students and to set up regional innovation systems. Perhaps we can also attract funds for the SME. In principle, however, this type of public funding is intended only for the startup phase. Ultimately the companies involved have to become convinced that investing in Eindhoven Engine is a wise move. At Eindhoven Engine two doctoral candidates will be appointed in each of these areas. In addition, there is scope for a postdoc, a PDEng trainee and a dozen graduating students, tells Otero Perez. As cars are increasingly equipped with radar, a new risk arises: misunderstandings as signals from other cars are interpreted as coming from the driver's own car. To identify such ghost signals, you could have cars communicate with each other and coordinate their radio frequencies, or even add a unique ‘label’ to each radar signal to make its origins immediately clear, she explains. 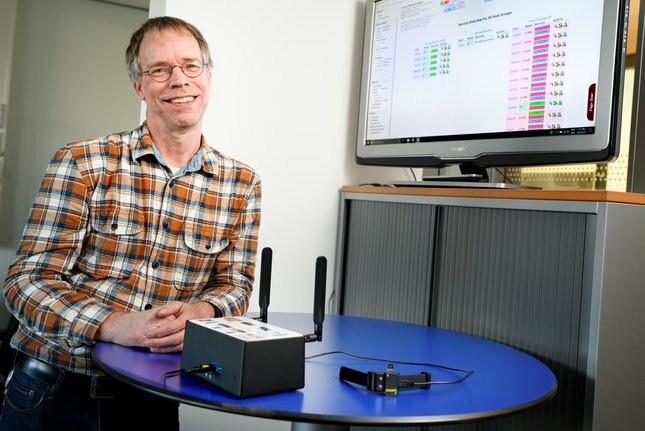 “I cycle over to the Catharina Hospital regularly to catch up"
Reinder Haakma is principal scientist at Philips Research and involved in a new activity planned to have five subprojects, all of which fall within the scope of the existing collaboration e/MTIC (Eindhoven MedTech Innovation Center). In this framework, Philips and TU/e are cooperating with three medical institutions (Kempenhaeghe, Máxima Medical Center, Catharina Hospital) in the field of technology for health care. The aim of e/MTIC is to help tackle, in a quick and efficient way, the societal problem of rapidly rising health care costs. For Eindhoven Engine ten doctoral candidates and two postdocs are envisaged, employed by the health care institutions and TU/e. Philips Research is supplying expertise and the technological platforms for the research; the physicians in the hospitals are supplying the clinical insights and the contact with patients. TU/e is providing the deeper understanding of machine learning, statistics and signal processing. “We've being doing it like this for some now, and it works really well,” says Haakma. Most projects involve technology designed to enable manageable approaches to the home monitoring of patients, their heart rate and breathing for example, over an extended period. “There's no shortage of devices at present, like fitness trackers and smartwatches, that do this to some extent, but they don't provide a total solution that clinicians are willing and able to work with - and are allowed to,” says Haakma. 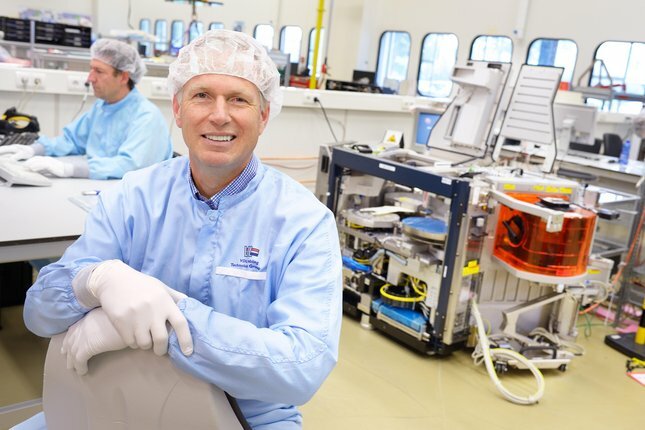 In cooperation with ASML, research is being carried out at Eindhoven Engine on a next generation of wafer stage for the lithography machines produced by this Veldhoven-based chip machine manufacturer. 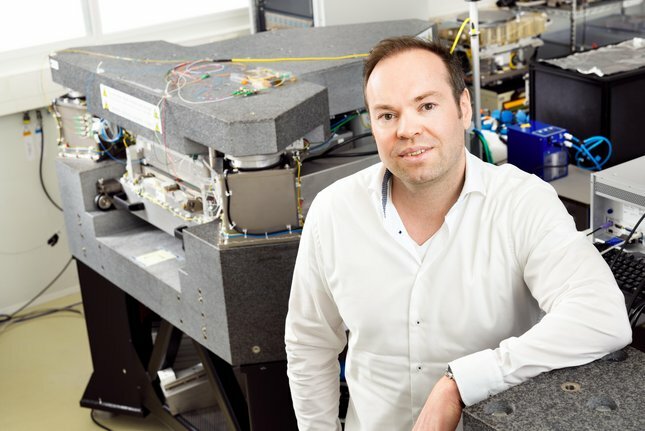 “The present wafer stage is an electromagnetic module with which the wafer (a slice of silicon on which the chips are etched, TJ) is moved about under the lens, so that a chip pattern can be etched on the wafer hundreds of times,” explains project leader Wouter Aangenent of ASML Research. 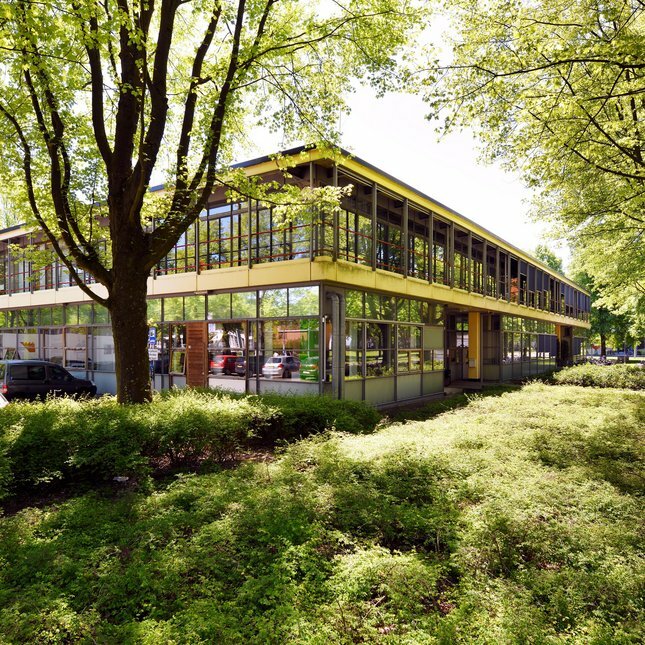 The first doctoral candidate on this project started work in September 2018, the second will start in August of this year, and another two vacancies are still open. 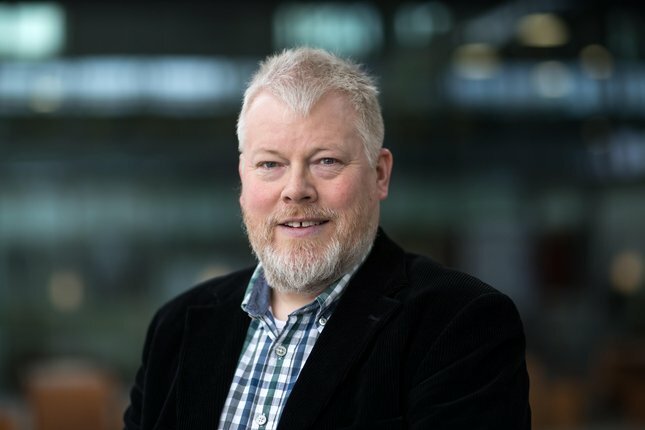 From the TU/e side, the project will have the support of Mechanical Engineering and Electrical Engineering, with part-time professors Hans Butler of Control Systems (EE) and Hans Vermeulen of Control Systems Technology (ME), both of whom also have ASML connections, providing leadership. Although its wheels have been turning for some time now in a warm-up phase, Eindhoven Engine will be given the official starting shot on the afternoon of Monday April 15th. This will take the form of a kick-off meeting held in TU/e's Auditorium. Following introductory speeches by Board President Jan Mengelers and Engine figurehead Maarten Steinbuch, TU/e alumnus and professional optimist Rudy van Beurden will lead a creative session. Designed to give an impression of the dynamism the minds behind Eindhoven Engine are seeking to achieve, this session will be supported by the technology of Changing Perspectives, an invention by another alumnus, Philémonne Jaasma. There will also be a tech fair at which the participating companies will present themselves and visitors will be shown the projects that are already underway at Eindhoven Engine. The closing words will be provided by Wiebe Draijer, former SER chair and currently CEO of Rabobank. Some three hundred people are expected to attend the kick-off.